Training courses designed to make you safer, more confident and if you like.... faster. A great place to start. This course starts right at the beginning and will get you your license. This is the next step. Once you've had your license for six months you can drop your L's and move on. Great foundations for off road riding. Competent riders and beginners alike will learn heaps. Adventure bikes are cool. Do yourself a favour and get it out in the terrain it was designed for. 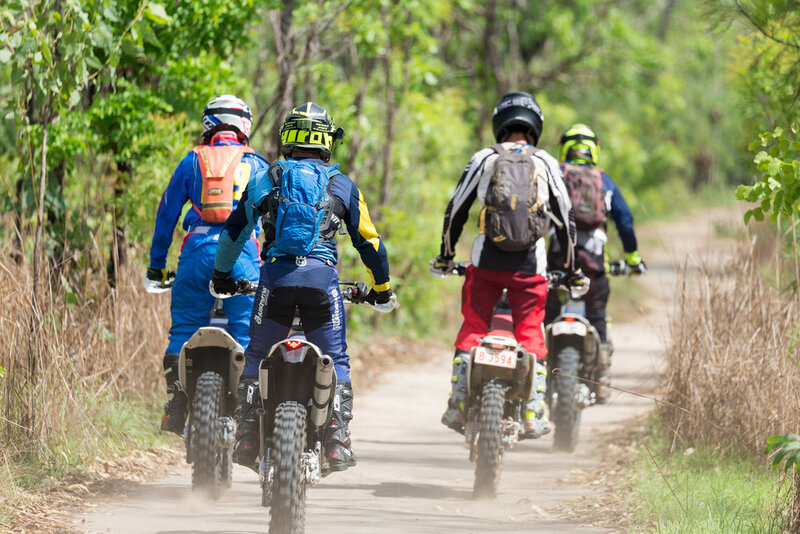 One and Two day guided Enduro/Trail bike tours. Entirely custom made for your taste and ability. One and Two day guided tours on some of the best bikes available. Treat yourself to the best the Top End has.